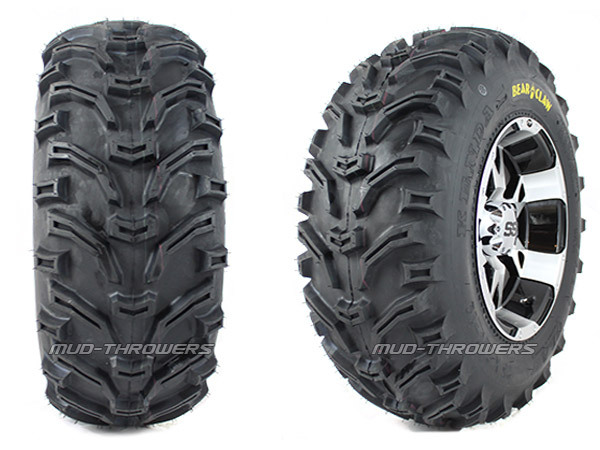 The Bear Claw packs a semi-aggressive tread design for beefy hook up. It has a combination of straight and angled tread bars. The outside sidewall knobs help provid additional traction when needed. The 6 ply rating construction and special tire compound makes for extended tread life.